Sold Out! Waiting List Only! Due to the limited number of seats available, only 70 reservations were sold. Waiting List while we wait for additional checks to arrive via postal mail. If additional tickets do become available, we will contact you immediately. 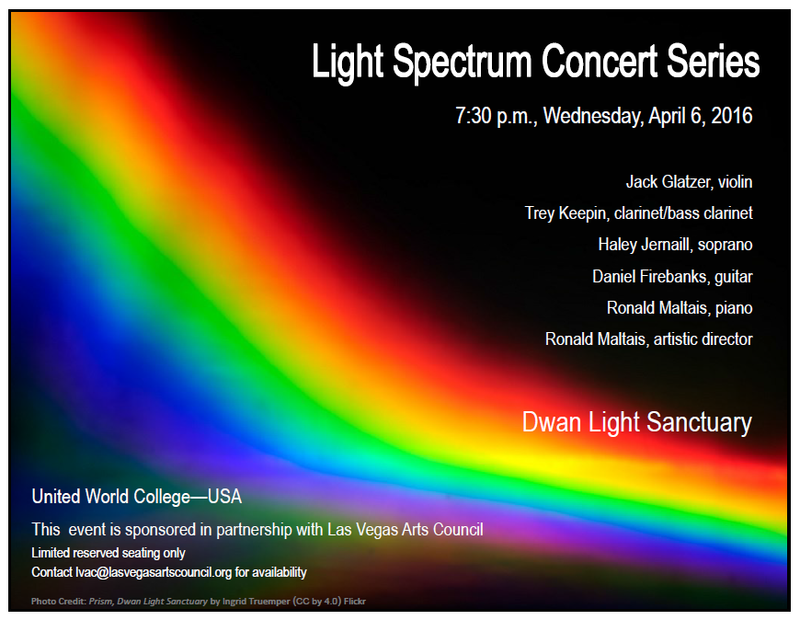 Please contact Las Vegas Arts Council if you have questions. No paper tickets will be issued. You should have received an email confirmation of your purchase, and we will have a VIP Seating List at the concert. Three of our reservation holders have experienced technical difficulties. If you received an email from LVAC today, April 3, asking you to pay an additional amount, the following is for your convenience.